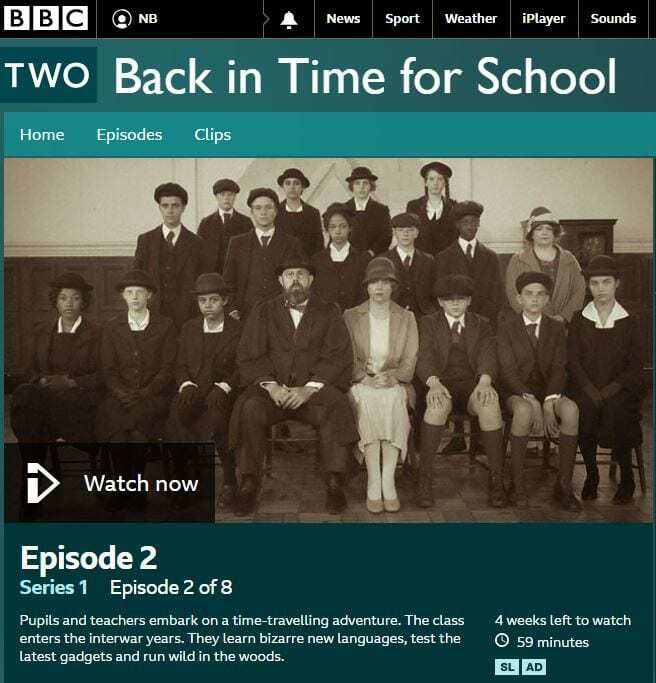 Back in Time for School takes a group of fifteen children and their teachers back through time to experience what schooling was like at different times, from the Victorian period up to the 1990s. Last summer, I was involved in doing some research for the second episode on the ‘King’s English’, which was a speech and language programme that began in the interwar period. To do this, I used the BBC Broadcasts for Schools Collection which I have introduced in an earlier post on the IOE Library’s blog, Newsam News. The BBC introduced wireless lessons for schools during the interwar period, the earliest of these date from 1924. Schools were expected to adapt their timetables to accommodate these lessons and the BBC were keen on the ‘wireless teacher’ and the ‘class teacher’ collaborating so that both the children and the class teachers would ‘enter into the spirit of the lesson’. 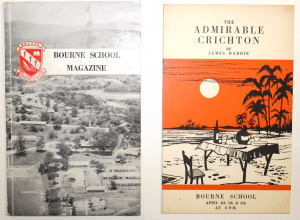 Class teachers were also expected to use the pamphlets produced by the BBC as guides and to make time after the transmission to answer questions that may arise. This would, according to the BBC, ‘treble the value of the lesson’! Teachers were to report to the BBC any difficulties they experienced with the broadcast transmission and to comment on the content of the lessons. The ‘King’s English’ began life as ‘Our Native Tongue’ in the 1920s. The title is representative of the focus on the importance of English as the language of the Empire and the necessity of ensuring young children learnt how to speak the native tongue. 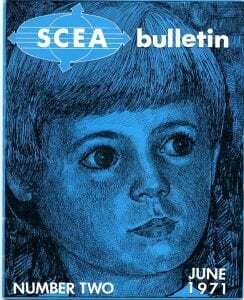 The programme had several name changes: In 1927, it changed its name to ‘Speech and Language’; from 1931 to 1934, it was called ‘King’s English’; and subsequently, it became ‘English Speech’. The object of the talks is to arouse interest in the sounds of our native tongue, and to give some practical training in hearing and making these sounds. Each practical lesson will be preceded by a little talk on some aspect of the subject. Very elementary notions of the history of our language may form a part of these talks, and may occasionally be read in the actual pronunciation of Chaucer and Shakespeare to give the children some idea of what English sounded like in those days. Nothing in these talks will be said that will reflect adversely upon local dialects, and no invidious comparisons will be made between class dialects. Good northern English is as good as good southern English, etc. Lloyd James was clearly celebrating the glories of a richly diverse range of forms of English, as embodied in Chaucer and Shakespeare inviting children to become fascinated with the varieties of English. He was also at pains to point out that these lessons were not meant to reflect adversely on local dialects or to make comparisons between class dialects, and that northern English was as good as southern English. But the reality of this couldn’t be further from the truth. Children who spoke well were likely to have a better chance of getting employment in the professional sphere (instead of manual or factory work) and thereby having the chance of climbing up the social ladder. 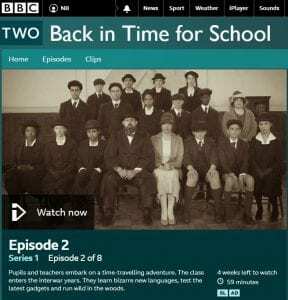 You can watch a short documentary on the Broadcasts for Schools in the second episode of Back in Time for School (on BBC iPlayer), get a taste of what the ‘King’s English’ sounded like and hear a wireless lesson from the interwar period at 33’50”. You may end up giggling with the children as you try to purse your lips to speak R.P. (Received Pronunciation) or the ‘King’s English’. I wonder though if this will bring back memories of school for some of you. Lloyd James, A. (1927), “Foreword to Teachers” In: BBC Broadcasts for Schools, Vol. 1, pp. 7-8. Mugglestone, Lynda. “Spoken English and the BBC: In the Beginning.” AAA-Arbeiten aus Anglistik und Amerikanistik 33, no. 2 (2008), 6. 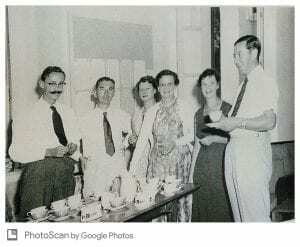 Unfortunately, Lloyd James’ career ended in the 1940s when he bludgeoned his wife to death – see more here, especially the newspaper articles about this sensational crime. Lloyd James, A. (1927), “Foreword to Teachers”, pp. 7-8. BBC, Broadcasts for Schools: April 18th April to 17th, 1932. Vol. 9, p. 21. We are pleased to invite applications for a Special Collections Visiting Fellowship, which offers a researcher the opportunity to visit UCL to conduct research on our fascinating collections. 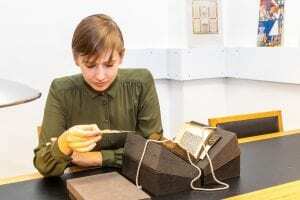 Its aims are to raise awareness of the collections amongst the research community, to facilitate new research into UCL Special Collections, and to disseminate the research outcomes to academic and non-academic audiences. The successful candidate will spend up to six weeks, or the part-time equivalent, at UCL researching the collections. The Visiting Fellow will receive a grant of £3,500 to cover travel, accommodation and living expenses. The deadline for applications is 10 am on 1 February 2019. See our website for further details and an application form. I have been doing some research on some of the women teacher trainers at the IOE in order to understand their contribution to pedagogical practice in London during the interwar years. One of the teacher trainers I have been most intrigued with is the relatively unknown Clotilde von Wyss. Von Wyss taught at the London Day Training College (which became the Institute of Education, University of London in 1932), from 1903 to 1936. The following presents a mere glimpse into her contributions to pedagogical practice during the early 20th century. As was typical in the late 19th century to the first half of the 20th century, most women became qualified teachers in order to have a professional career, and many women remained unmarried in order to retain their independence. Many women teachers progressed in their careers by taking up headships and some, mainly the ‘intellectually gifted women’ from the middle classes, went into teaching in higher education. Von Wyss followed this path and trained as a teacher at Maria Grey College, Brondesbury and gained a distinction in her Cambridge Teachers’ Certificate. 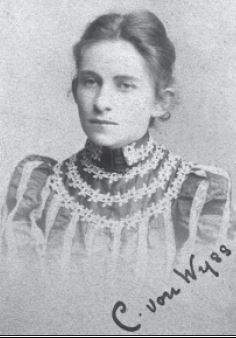 Prior to her appointment at the London Day Training College (LDTC), von Wyss taught at various schools including St. George’s High School in Edinburgh from 1894 to 1897. During this time, she was also an external student at the Heriot-Watt College where she took classes with the distinguished naturalist Sir Arthur Thomson. From 1897 to 1900 she taught biology at her old school, North London Collegiate, after which she took up a lectureship at the Cambridge Training College. In 1903, she began to work on a part-time basis at the London Day Training College (LDTC) where she taught biology, hygiene, nature study, art and handicraft. She was soon appointed as a full-time member of staff supporting the Mistress of Method and Vice-Principal, Margaret Punnett (another eminent female academic), with the welfare of the women students. Miss Gascoyne … was demonstrating the principles of heredity by means of charts…[and the] story of the black gentleman cat who married a sandy lady cat was touching in the extreme. How he longed for his little boys to be tortoiseshell, something like him and his dear wife! But they never could. That distinction was confined to the girls of the family. And all because of a wretched chromosome with a hook in it! She was a progressive educationalist and expected the trainee teachers to demonstrate aspects of child-centred learning in their teaching practice. Her written comments on her observations of student teachers’ classroom teaching practice are held in the IOE’s archive. They give a sense of what she considered to be the necessary characteristics for a teacher and ‘good’ teaching. Of utmost importance was for teachers to understand the world of the child so that they could see things from the child’s perspective. She was critical of students who derived teaching material from text-books, particularly if they imparted it in a mechanical way. She wanted the subject to come alive for the child and recommended first-hand observations. Von Wyss was also known for her innovative use of new technology in the creation of audio-visual learning materials – two letters from the mid-1930s confirm the arrangements she made for showing the film ‘Wood Ant’ at the Autumn meeting of the School Nature Study Union at County Hall and later at the LDTC in which ‘her ants’ which she had nurtured for the students to observe were featured.Her lessons for the BBC’s Broadcasts to Schools made a profound influence on science teachers throughout the country. Many teachers used her biology and nature studies textbooks which contain her own illustrations. Von Wyss built up a reputation as a formidable naturalist. Her editorship of the School Nature Study Journal, in which the educational merits of nature study, a syllabus for the subject and the appropriate teaching methods were discussed. She had the backing of such influential people as L.C. Miall who was Professor of biology at a Yorkshire College (later part of the University of Leeds), J. Arthur Thompson, the renowned naturalist under whom von Wyss studied in Edinburgh, the writer H. G. Wells, C. W. Kimmins who was the Chief Inspector of the London County Council, and Sir Percy Nunn who was director of the LDTC/IOE during von Wyss’s tenure and who also chaired the Union from 1905 to 1910. Given this, how can we ensure that women academics such as von Wyss (and Margaret Punnett, Susan Isaacs, Marion Richardson, Geraldine Montmorency, etc), do not remain hidden? One suggestion is to name one of the recently refurbished rooms at the IOE after them. I can quite easily imagine walking into ‘The Clotilde von Wyss Lecture Theatre’. Their names would certainly arouse curiosity and may even result in further research. Apart from E. W. Jenkins’ work on The Nature Study Movement(1981) in which he introduces von Wyss, Richard Aldrich’s biographical introduction to her in his Centenary History of the Institute of Education(2002), and some passing references to von Wyss , there is little of significance with respect to a study of her pedagogical practice. Fernanda Perrone, ‘Women Academics in England, 1870–1930’, History of Universities12 (1993): 339, 347. Richard Aldrich, ‘The Training of Teachers and Educational Studies: The London Day Training College, 1902–1932’, Paedagogica Historica40, no. 5–6 (October 2004): 624. ‘Harold’, ‘The Biological Exhibition’, The Londinian, no. Summer (1929): 15. Correspondence with Gaumont-British Instructional Ltd dated20thMarch (1935?) and 7thOctober 1935. ‘Von Wyss Staff Records (1909-1949)’. British Broadcasting Corporation, ‘Notes on the Courses: Nature Study with Clotilde von Wyss’, in Broadcast to Schools (January to June 1929)(London: British Broadcasting Corporation, 1929), 17. Diploma Report dated 29/05/22. In: Clotilde von Wyss, ‘Diploma Reports 1922 Women Students’ (London Day Training College, 1922), IE/STU/A/7, UCL Institute of Education Archives. E. W. Jenkins, ‘Science, Sentimentalism or Social Control? 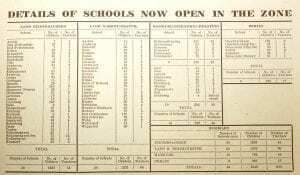 The Nature Study Movement in England and Wales, 1899‐1914’, History of Education10, no. 1 (March 1981): 39. ‘Societies’, The Athenaeum, no. 4542 (14 November 1914): 512. R. F. S., ‘Obituary: Miss Clotilde von Wyss’, Nature142 (26 November 1938): 944–45.